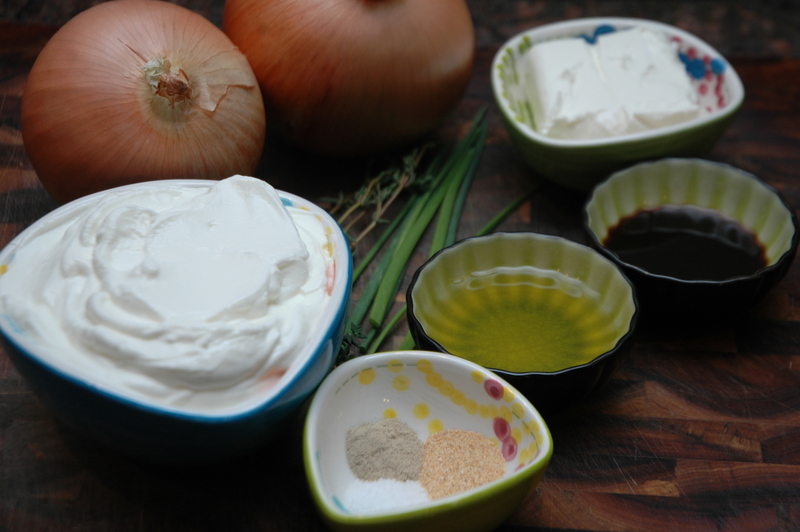 Heat the olive oil in a large dutch oven over medium heat. 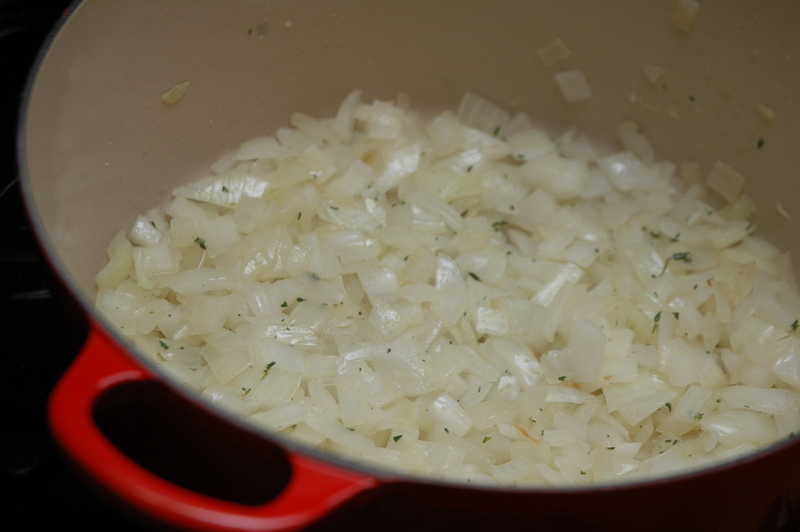 Add the onions and next 4 ingredients, through the thyme. 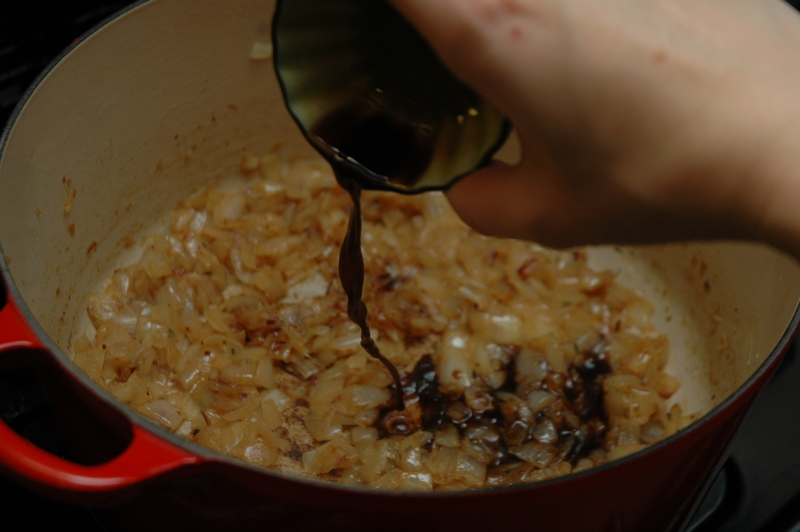 Saute until rich and golden brown, stirring frequently. 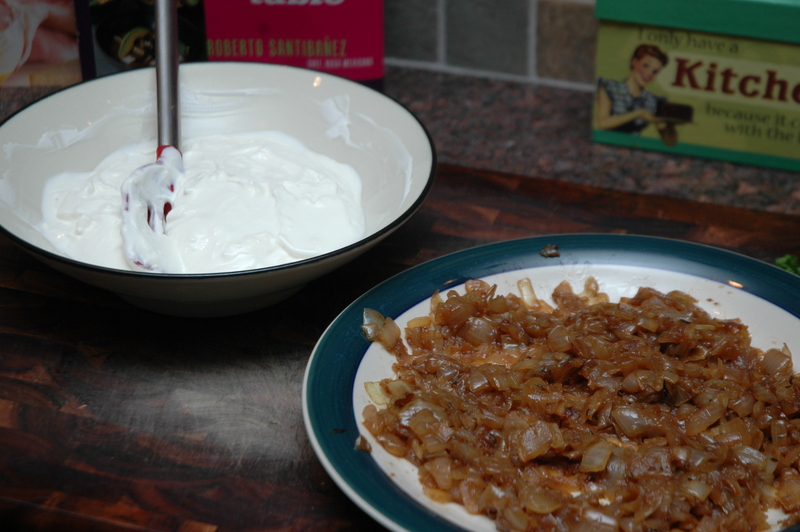 When onions are nice and caramelized, around 20-25 minutes, stir in the Worcestershire and scrape up any brown bits. 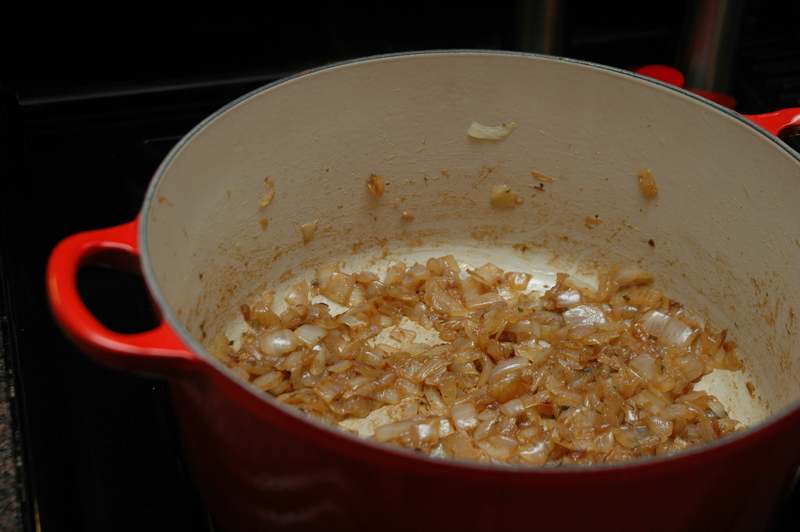 Simmer until the access liquid has evaporated. 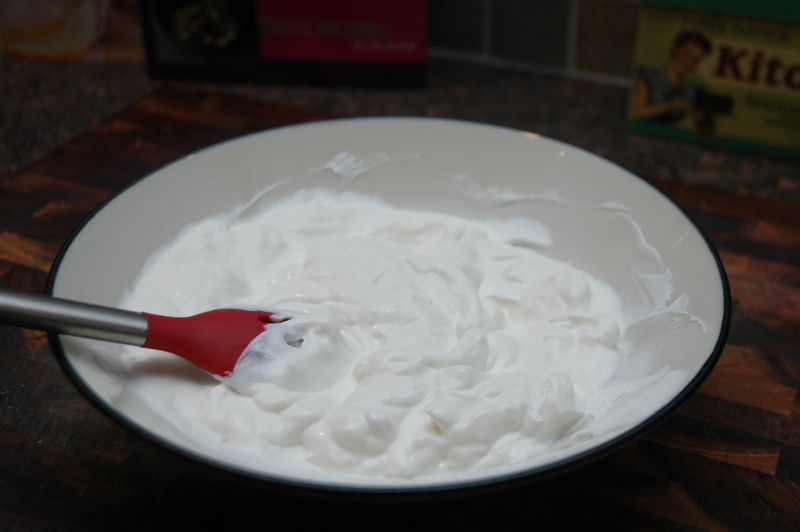 In a large bowl mix together the sour cream and cream cheese until nice and smooth. 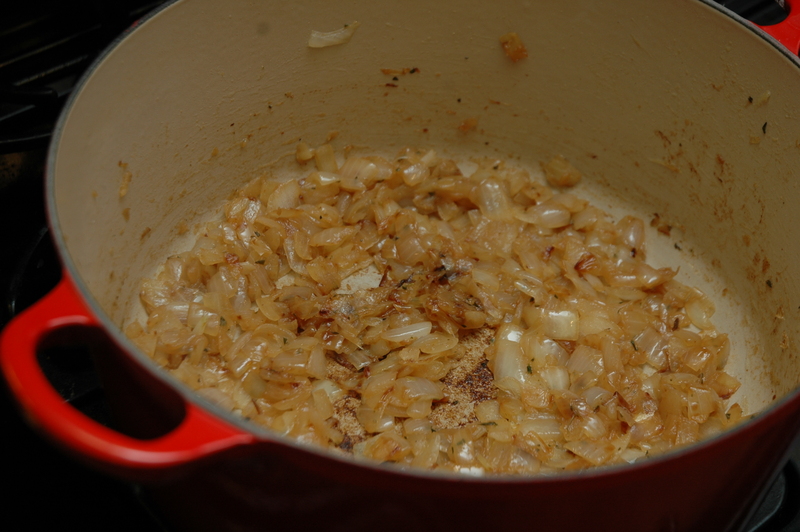 Stir in the onions and top with the chopped chives. 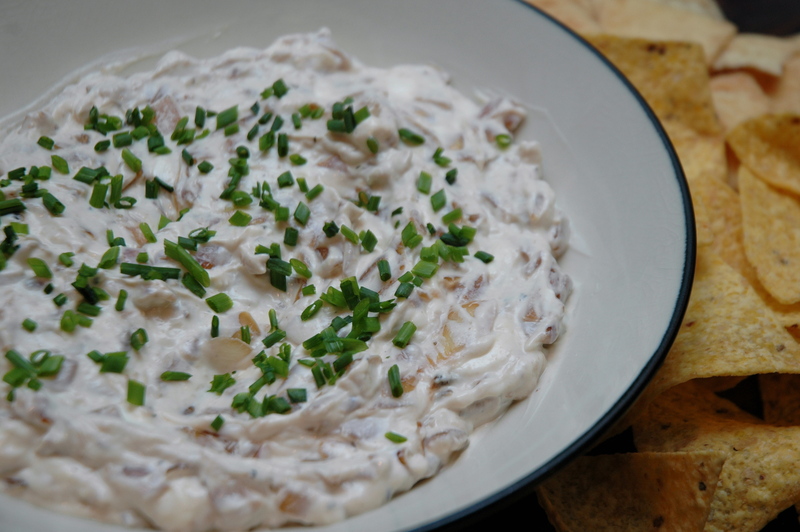 Serve with raw veggies or pita chips.